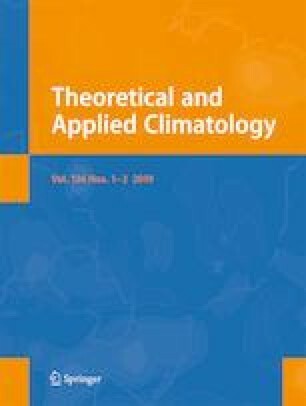 Trend analysis of climate variables such as streamflow, precipitation, and temperature provides useful information for understanding the hydrological changes associated with climate change. In this study, a nonparametric Mann-Kendall test was employed to evaluate annual, seasonal, and monthly trends of precipitation and streamflow for the Neka basin in the north of Iran over a 44-year period (1972 to 2015). In addition, the Inverse Distance Weight (IDW) method was used for annual seasonal, monthly, and daily precipitation trends in order to investigate the spatial correlation between precipitation and streamflow trends in the study area. Results showed a downward trend in annual and winter precipitation (Z < −1.96) and an upward trend in annual maximum daily precipitation. Annual and monthly mean flows for most of the months in the Neka basin decreased by 14% significantly, but the annual maximum daily flow increased by 118%. Results for the trend analysis of streamflow and climatic variables showed that there are statistically significant relationships between precipitation and streamflow (p value < 0.05). Correlation coefficients for Kendall, Spearman’s rank and linear regression are 0.43, 0.61, and 0.67, respectively. The spatial presentation of the detected precipitation and streamflow trends showed a downward trend for the mean annual precipitation observed in the upstream part of the study area which is consistent with the streamflow trend. Also, there is a good correlation between monthly and seasonal precipitation and streamflow for all sub-basins (Sefidchah, Gelvard, Abelu). In general, from a hydro-climatic point of view, the results showed that the study area is moving towards a situation with more severe drought events. We would like to thank the Regional Water Company of Mazandaran for providing the climatic and hydrometric data.